Golf Advisor just released its annual list of Top 50 Golf Courses in the United States. Among national favorites Bethpage Black, TPC Sawgrass, Harbour Town Golf Links and Tobacco Road is the Georgia State Park's Arrowhead Pointe Golf Course at Richard B. Russell State Park in the northeast Georgia mountains near Elberton. It is the only state park golf course in the whole United States to make the Top 50. That says something about the quality of the eight Georgia State Park courses which are part of the Georgia Golf Trail, a fine selection of golf courses and resorts representing the best of the Peach State, home to legendary Bobby Jones, the Masters and the PGA TOUR Championship. This is the fifth year of the Golf Advisor List determined by recreational golfers who shared their reviews throughout the year with the online destination for traveling golfers. Unlike golf course rankings published by industry insiders who have access to golf courses the public may never have the opportunity to play, the List is totally consumer driven-by golfers for golfers. More than 825,000 reviews were accumulated showcasing the characteristics most important to golfers across the country, like pace of play, staff friendliness and value. 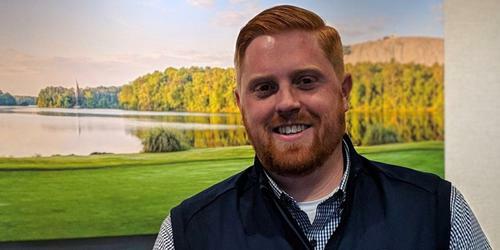 "This is our fifth Top 50 list since we launched Golf Advisor in 2014 and the variety of our reviewers continue to evolve," said Brandon Tucker, Senior Managing Editor. "While the list includes a sampling of bucket-list courses that are delivering on high golfer expectations, a large selection of the list features special, more reasonably priced courses that are excelling in their local or regional market." Arrowhead Pointe was designed by ASGCA member Bob Walker and opened in 2004 to rave reviews from the golfers who found their way there early on. It didn't take long for the rest of the country to recognize the Pointe, and in 2005 Golf Digest named it the 2nd Best New Affordable Public Course in America. Travel.com placed Arrowhead Pointe on its 'Top 10' courses in Georgia shortly thereafter. 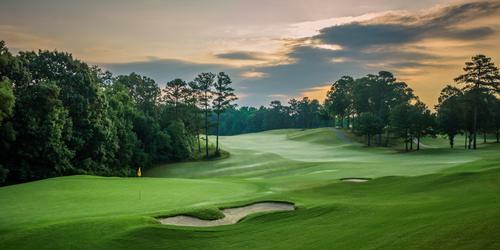 According to Head Golf Professional Barry Johnston, the Pointe has been chosen #3 in the state by Golf Advisor. 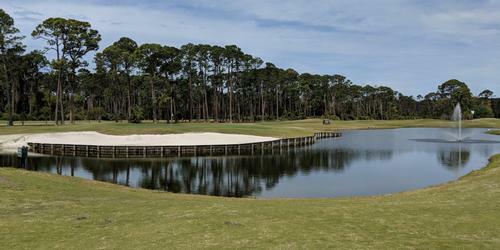 The 6861 yard masterpiece sits on a peninsula along the 26,250 acre Lake Richard B. Russell. 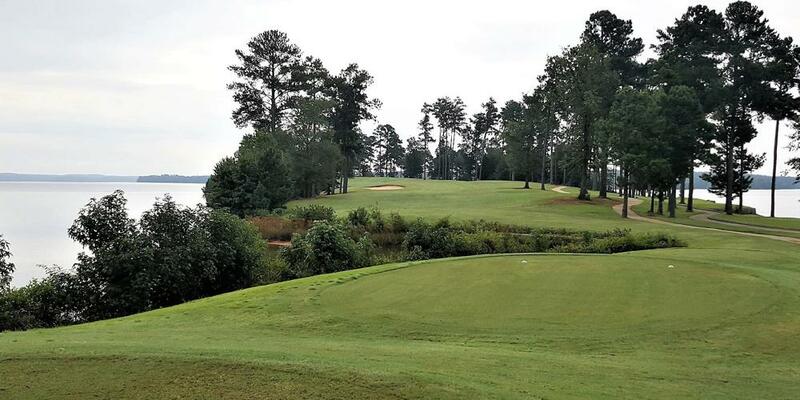 The State of Georgia gave course designer Walker 400 acres of lakefront pine forest to build the layout and what he came up with is one of the most aesthetically pleasing and scenic courses in the state, with 10 out of the 18 holes bordering the Lake. There are four sets of tees to make playing the Pointe a pleasant outing for any level of golfers. A lot of folks are making all natural choices in their lives today, and when golfers play Arrowhead Pointe, natural is what they get-there are no homes, cars or boat docks, just a pristine piece of land with elevation changes and wide emerald green fairways bordered by Georgia pines, the lake and well-placed bunkers, playing into TifEagle greens. The only noise here is the birds singing, the wind whistling through the pines and the occasional 'clunk' of a golf ball squaring off on a tree trunk. The immaculate greens have different levels and subtle undulations which can confound the best flatstick players. The clubhouse houses the grill with tasty food and a pro shop. The picturesque and challenging 16th hole, a 541 yard uphill par 5 to a smallish green garnered the "The Best Par 5" honors in the First Annual Georgia Golf & Travel Awards recently. Richard B. Russell State Park has 28 camp sites and 20 fully equipped cottages near the water's edge for rent and 'Stay & Play' packages. Some of the best fishing in the area and all sorts of boating and water activities can be had right here at the park. They have a disc golf course, hiking and bicycling on six miles of trails, volley ball and just plain old relaxing. A nature trail follows the shoreline of the lake to one of the oldest steel pin bridges in the state, looping through the woods and returning back to the beach. To book your next round, a stay & play package or for more information visit GaStateParks.org/RichardBRussell.